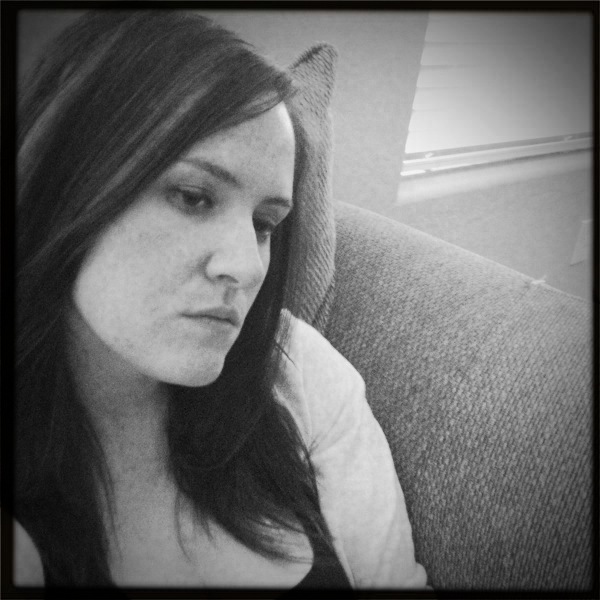 It’s been a crazy week. 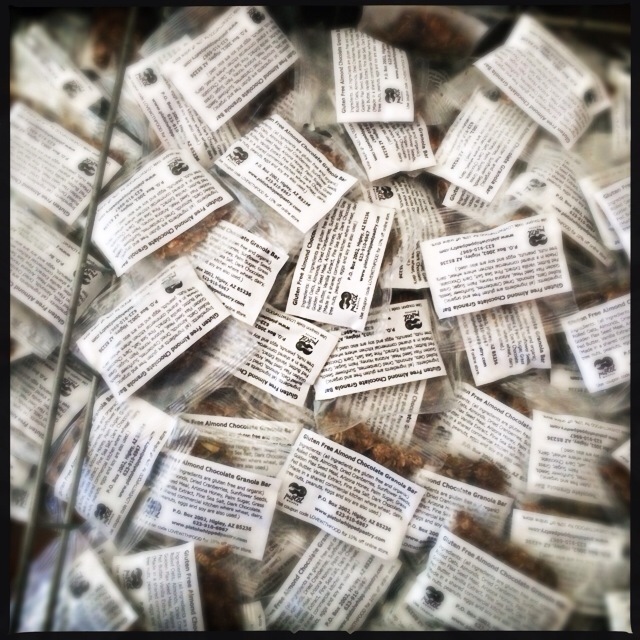 We made, hand cut, wrapped, and labeled 6,300 granola bar samples. I am ever the optimist when putting together a project, but unfortunately, I grossly miscalculated how much time it would take to put this project together. Luckily, I have some amazing friends and a fantastic husband who all pitched in to help get the job done. 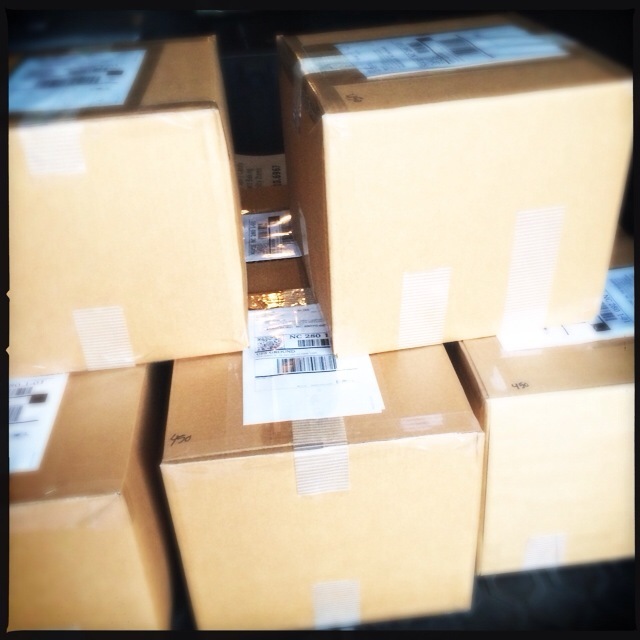 As we placed the last label and packed the last box, I felt a huge weight lift from my shoulders. I reveled in crossing the finish line by our new fire pit with a glass of wine, caramelized onion chicken breast, sautéed kale, fingerling potatoes and Mr. PC, before allowing the flood of new tasks lining up for this current week to infiltrate my mind. This is by far the largest order we have had, and yet when we are bogged down, we stray more to meals that are simple and fast. Usually a quick pop into a favorite restaurant or a jar of my family’s sauce that I’ve stocked up in the freezer tossed with some pasta and maybe a little protein and parm. However, once we had finished, we turned our minds towards food. I wanted to sleep, and yet jump into my home kitchen and start making meals again. Meals I could linger over while sipping wine, nibbling on bits of veg while I chopped and tossed onto the pan for roasting. In the interim, until I could get dinner on the table, we need something to snack on with our wine (for me) and bourbon – High West – with an ice sphere (for Mr. PC). 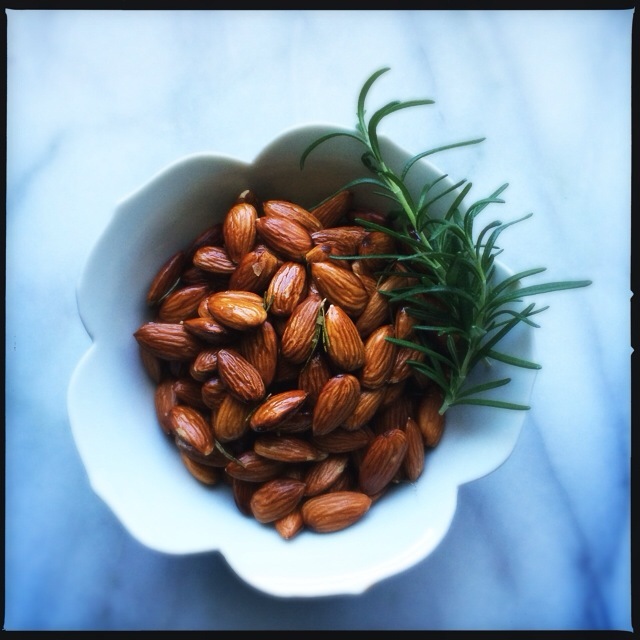 Behold, a bulk bag of raw almonds and a garden lush with fresh rosemary. Massaged with a little olive oil, sprinkled with Maldon sea salt, and roasted till toasty. The perfect fireside snack, it is silly simple, but it was such a perfect nibble. I love insanely thoughtful, simple, and delicious bar food, and these nuts are exactly what I want to graze on while have a leisurely drink by the fire with my hubs. Now, all I want to do is read the box of cookbooks that arrived on my doorstep in the middle of the great granola bar shipment, while eating roasted almonds. Preheat oven to 350 degrees. 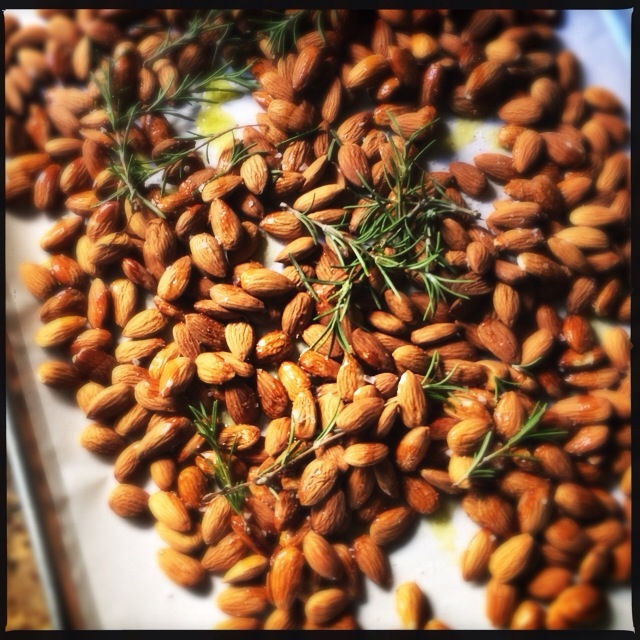 Place almonds on a parchment lined sheet pan. Massage olive oil and rosemary (remove the leaves from the stem by holding the top in one hand and sliding your hand down the stem with the other hand) into almonds, coating all throughly. Sprinkle with sea salt. Roast for 10 minutes, pushing nuts around, and rotating pan. Then roast for another 5-10 minutes, until slightly darker and slightly golden inside. Remove and cool. Pile into a bowl and serve warm with your cocktail or adult beverage of choice.